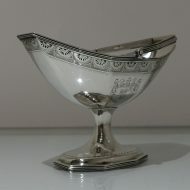 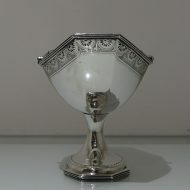 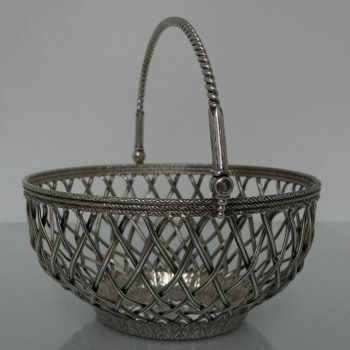 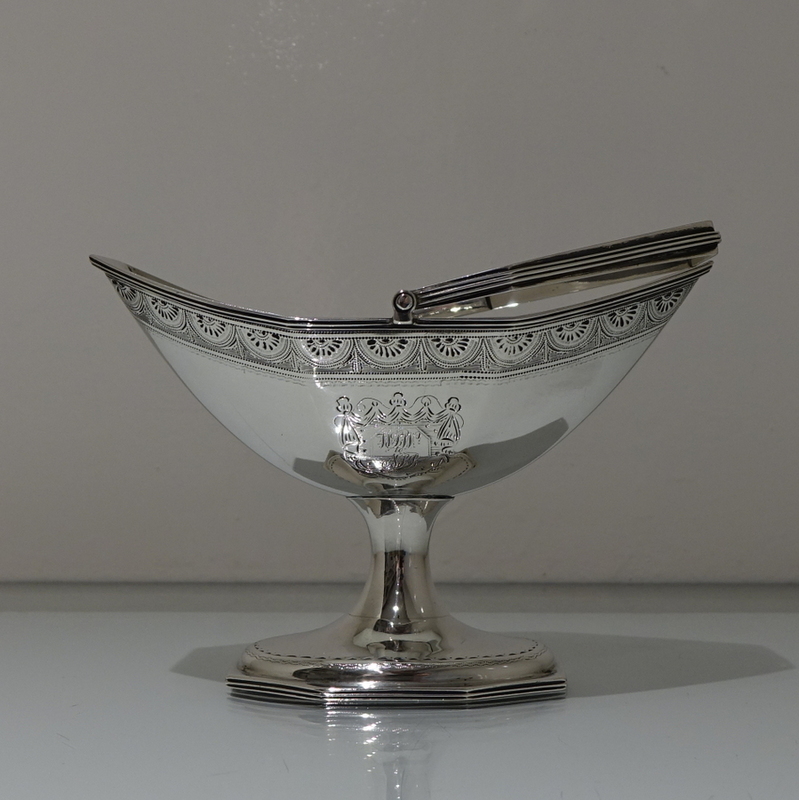 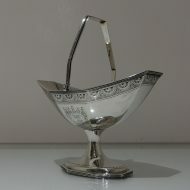 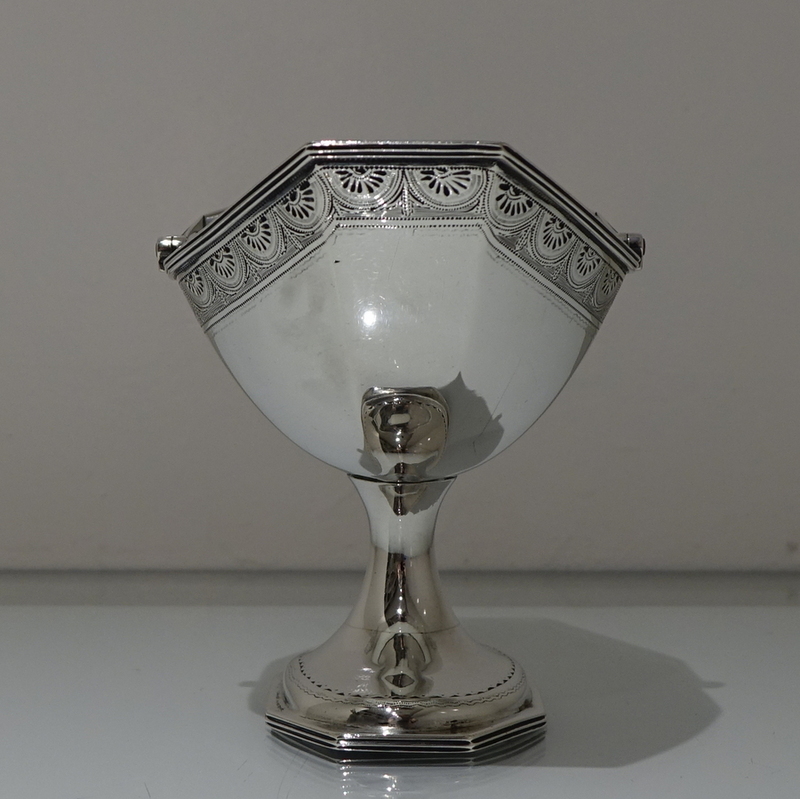 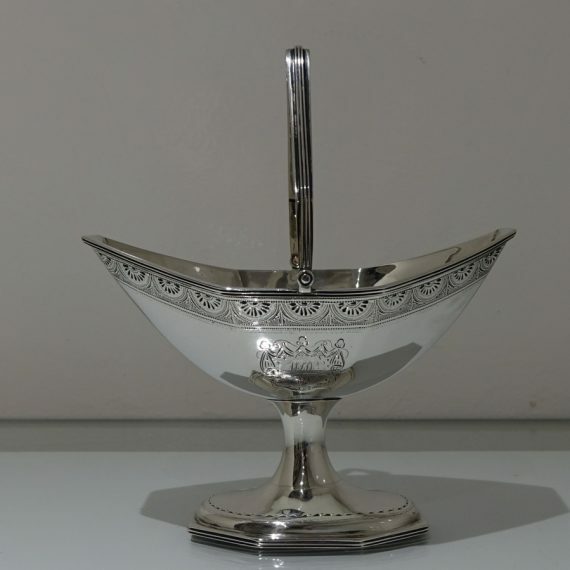 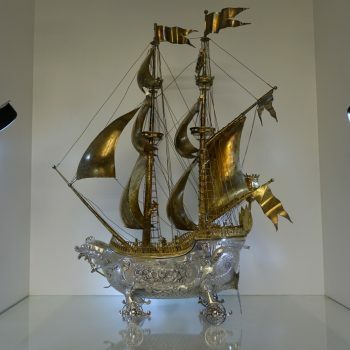 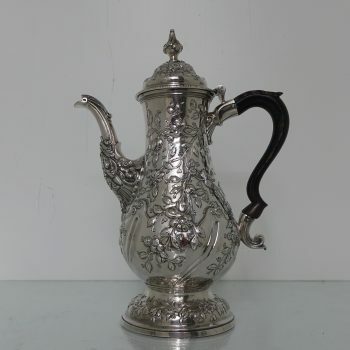 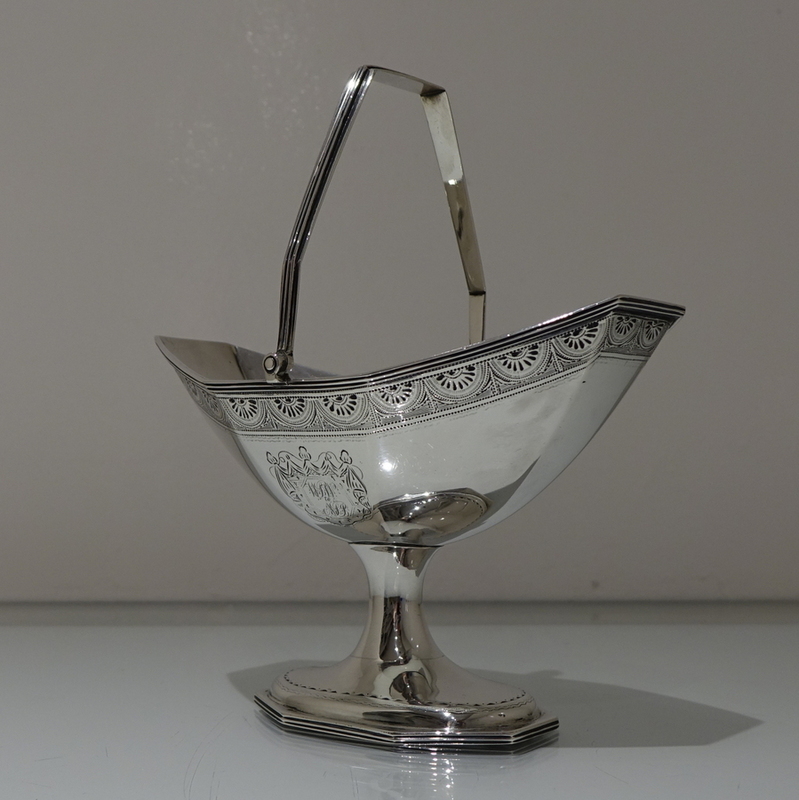 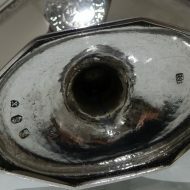 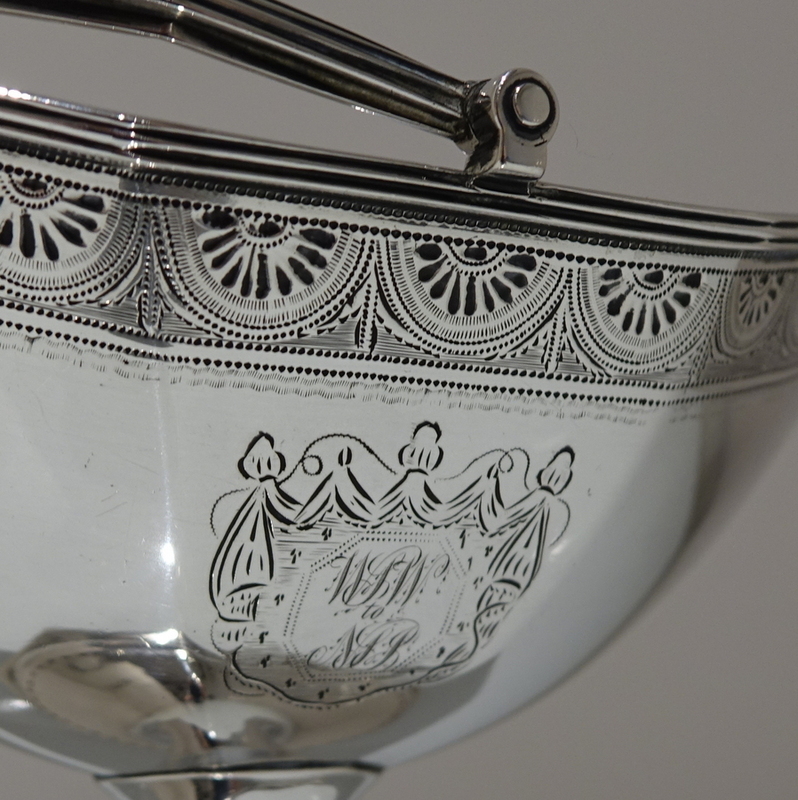 18th century Irish silver sugar basket. 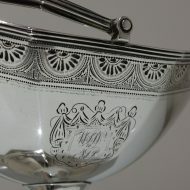 A very rare Irish swing handled sugar basket shaped with elegant panels to the bowl which is then decorated with a intricate bright cut engraved upper border. 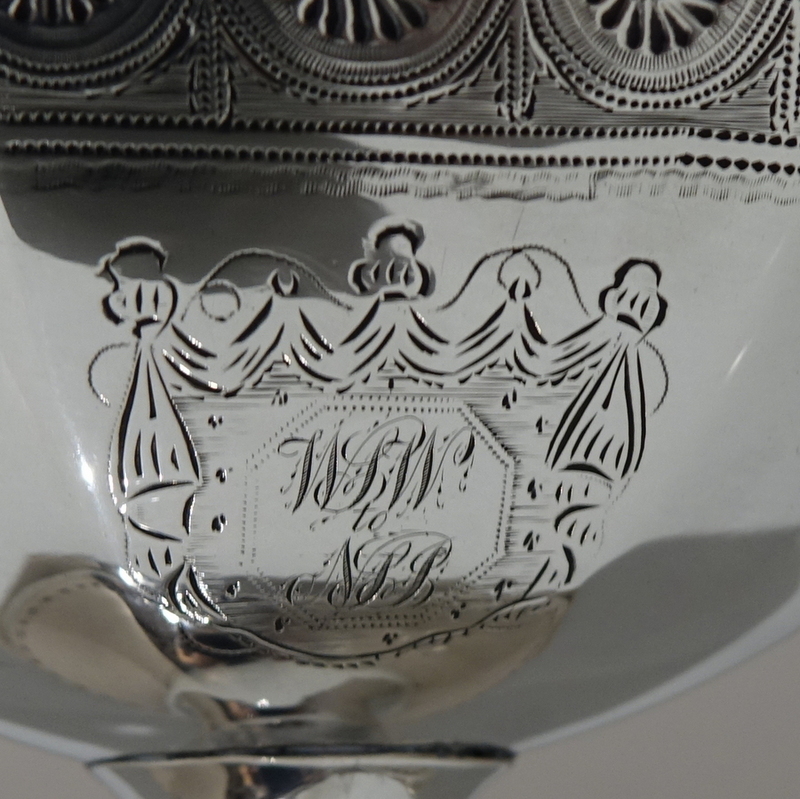 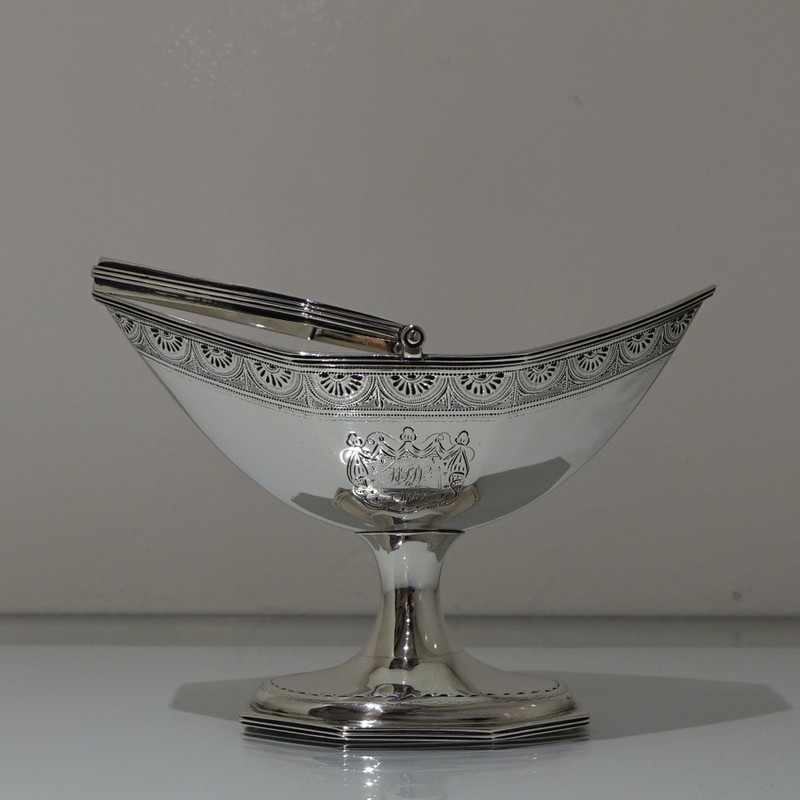 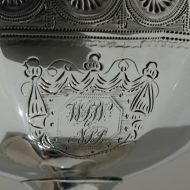 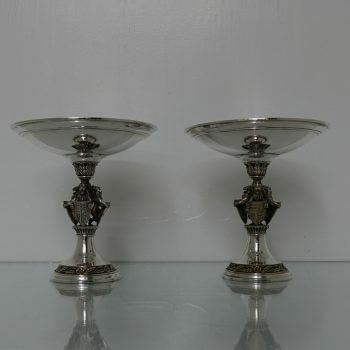 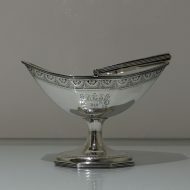 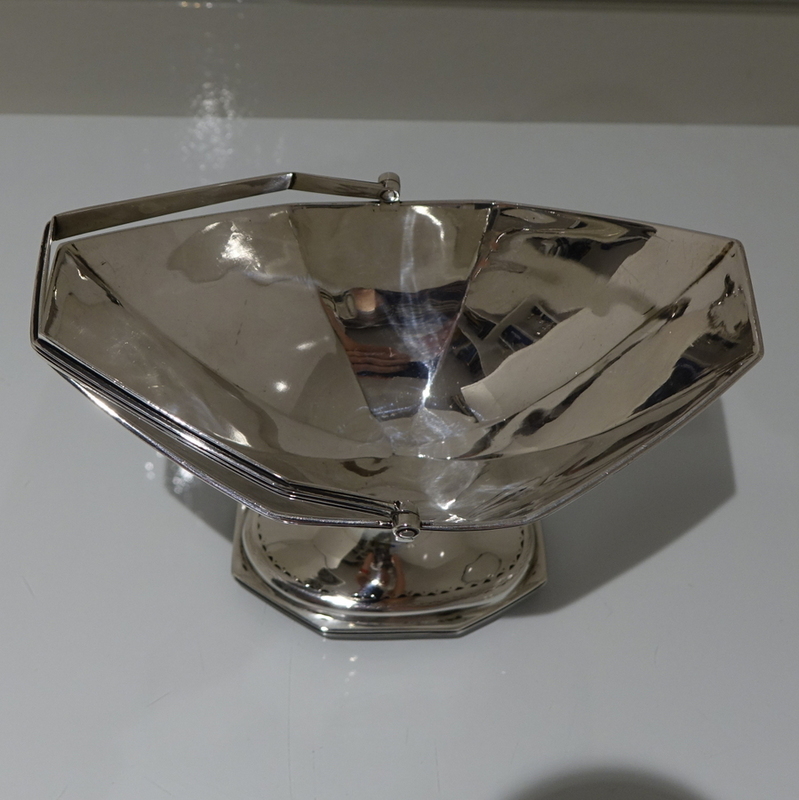 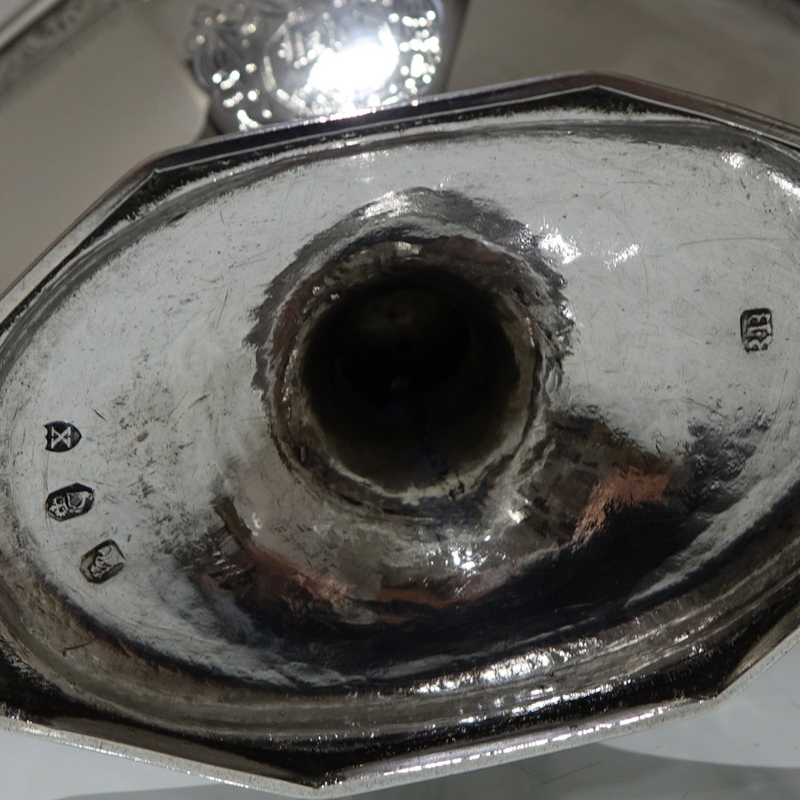 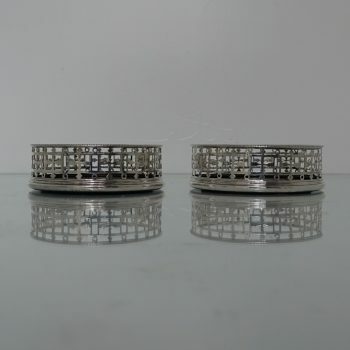 The bowl has an elegant double cartouche in which sits stylish contemporary initials. 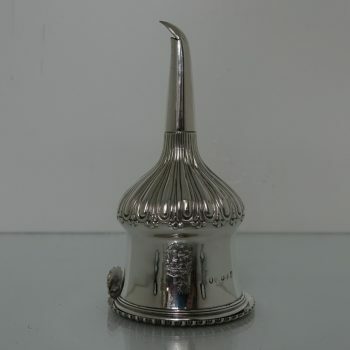 The foot is raised pedestal in design and has additional bright cut decoration for lowlights.